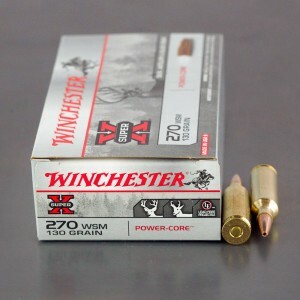 270 WSM ammo, also known as the 270 Winchester short magnum, is a very powerful round designed by Winchester in 2002. 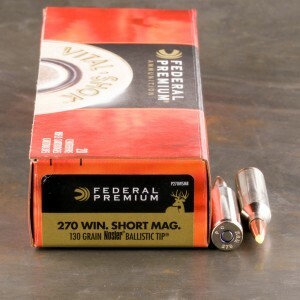 The round is part of their short magnum line, which is known for its exceptional power and the ability to be used in a short action rifle. 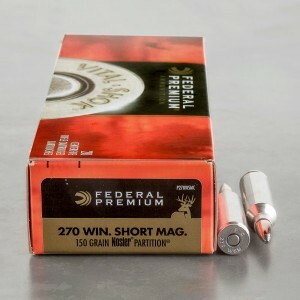 Short magnums have the advantage of being used in short action rifles, these rifles allow the shooter to manipulate the bolt quicker and easier than a long action rifle. 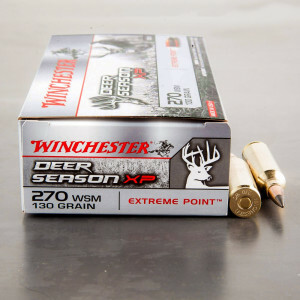 The 270 WSM was designed by using the 300 WSM and necking the case down to accommodate the .277 projectile diameter. 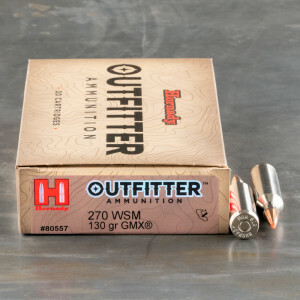 The 270 WSM provides a higher velocity than the older 270 Winchester with the same bullet weights. 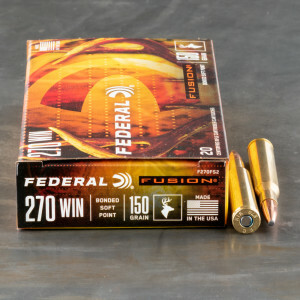 This allows the round to transfer more foot-pounds of energy into a target, therefore making it a more efficient killing round for large and medium deer species. 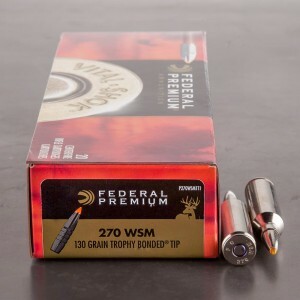 270 WSM cartridges with a lightweight 90-grain round can reach velocities of 3,700 feet per second. A heavier 150-grain projectile can reach a velocity of slightly over 3,000 feet per second. 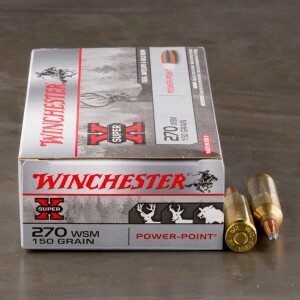 The 270 WSM is an extremely fast round and shooters should take caution in any rapid firing of these rounds due to the chance of increased barrel wear. Great penitration . Great expansion. Good long distance round ! Fair price ! Sub moa .65 at 100 yds 3 shot groups. Win model 70 featherweight classic.